Kelly Houmand is an NCCPA board certified physician assistant who specializes in non-surgical cosmetic treatments. Kelly earned a Bachelor of Arts in Philosophy and Religion from Emory University and a master’s degree in medical science from Midwestern University in Glendale, Arizona. Kelly began her practice of medicine in Los Angeles, California where she trained in medical, cosmetic, and surgical dermatology. She continued her career in Las Vegas, Nevada where she was the sole cosmetic injector for a busy dermatology practice. Kelly joined Dr. Yellin and Marietta Facial Plastic Surgery in July of 2017. Kelly has focused her education and training on advanced injectable techniques and prides herself in helping her patients age gracefully. She works collaboratively with Dr. Yellin to provide minimally invasive treatments that complement his beautiful surgical procedures. She believes that every patient is unique and works to create a plan that will help patients achieve their aesthetic goals. Kelly has trained extensively in the art of cosmetic injectables under Dr. Yellin and has attended numerous trainings from the top pharmaceutical companies in the industry. 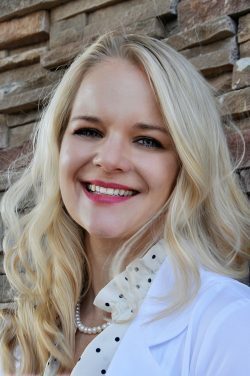 She regularly attends cosmetic conferences in an effort to stay up to date on her techniques and devotes herself to providing the best care for her patients.